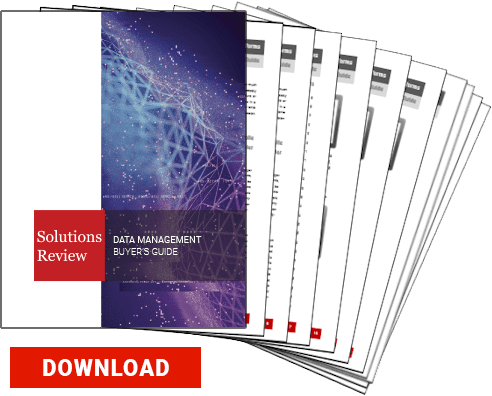 Solutions Review is proud to release an all new resource for comparing data management software, the Data Management Buyer’s Guide. 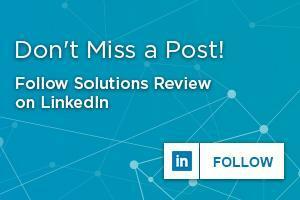 Solutions Review has developed this buyer’s guide to assist buyers in search of the best possible tool to fit the needs of their organization. This resource features 10 important questions to ask during the buying process, and full, one-page vendor profiles that provide a solution overview, three key features, contact information and our own ‘Bottom Line’ analysis. Top providers highlighted include: 1010data, Amazon Web Services, Ataccama, Cloudera, Commvault, DataStax, Druva, EnterWorks, Google Cloud, HPE, Hortonworks, IBM, Informatica, MapR, MarkLogic, MemSQL, Microsoft, Oracle, Pivotal, Riversand, SAP, SAS, Semarchy, Snowflake, Stibo Systems, Talend, Teradata, and Zaloni. Data management solutions are available to oversee the development and execution of policies, practices, and procedures that manage the data needs of an enterprise. Data management software vendors concentrate on how enterprises organize diverse types of data. 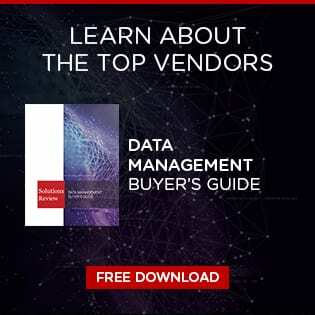 Choosing the right data management vendor can be a daunting task because there are various tools that make up the broader marketplace, and they depend on your specific environment and use cases. The concern over effective data management has reached a fever pitch, in large part due to a continued push for data privacy and protection legislation in Europe and the United States. There’s also the ever-present threat of data breaches that have impacted some of the largest organizations in the world. As regulations grow stricter and compliance frameworks become more common, organizations will grow increasingly interested in dedicated data management tools, ensuring that they are keeping their data in a way that safeguards it from internal and external threats.